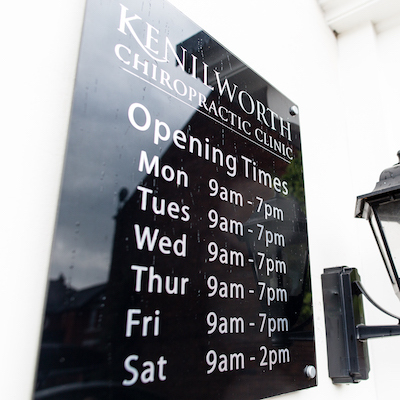 For more information on Kenilworth Chiropractic Clinic and how we can help you with your Chiropractic issues and more, please contact us via the details below or alternatively by using our contact form located on the right and a member of staff will get back to you shortly. The clinic is open six days a week, and you may contact us on 01926 865985. For patient emergencies out of hours please call the clinic and follow instructions on the answer phone and one of our chiropractors will get back to you shortly.